During the busy holiday weekend in the UK, British Airways hit the headlines for all the wrong reasons. The airline was forced to cancel all flights from London’s Heathrow and Gatwick airports leaving tens of thousands of people stranded. As angry passengers demanded answers, the airline quickly pointed the finger of blame at a “global IT failure.” When things go wrong, it is much easier to blame IT or hide behind smoke and mirrors than revealing an inconvenient truth. In this particular case, the lack of resilience in BA’s systems is a much more worrying factor. The reality is that the BA outage is just the tip of the proverbial iceberg. 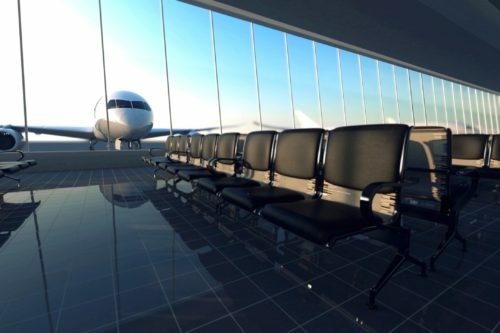 The entire airline industry is beginning to pay the price for years of under-investment and building over the top of an aging IT infrastructure. Whether it’s British Airways, Southwest Airlines, or Delta, all the stories and outcomes are the same. As passengers, we only see the shiny new tech that offers automated check-in kiosks, real-time luggage tracking and or yet another mobile app that allows travelers to manage their customer experience. However, behind the curtain, there are reservations systems built on legacy technology that desperately needs rebuilding. For example, many of the world’s biggest carriers are still using an IBM operating system for reservations known as Transaction Processing Facility (TPF) and can be traced all the way back to the 1960s. There is an argument that carriers are caught between a rock and a hard place. On the one hand, all airlines know what needs to be done, but they don’t have the luxury of a three-day downtime window to implement the required upgrades. Global regulatory requirements actually make any much-needed overhaul incredibly difficult. The result is a myriad of disjointed systems where old technology interacts with the new. If we also add airline mergers into the mix, it’s easy to see how an entire industry has ended up with an estate of legacy technology and incompatible software that is not impossible to maintain in a world where downtime is not acceptable. A world of 24-hour uptime while continuously adding new solutions over the top does not exist. As global outages increase, it’s becoming increasingly clear that it’s not our reliance on technology that is the issue at hand. Years of underinvestment and critical dependency on multiple layers of outdated systems is on the verge of bringing the industry to its knees. The outcomes that we are now witnessing are the result of business problems. Technology needs to be treated with the respect it deserved and be categorized as a critical asset rather than something that can just be outsourced or delivered at the lowest price. A resilient IT infrastructure and disaster recovery process is not an expensive luxury or a nice to have but the difference between being open or closed for business. Although it’s easier to blame technology for the widespread disruption this weekend, maybe there should be a stronger focus on those that are running the business and encouraged the under-investment that delivered a very expensive learning curve. The demise of household names such as Kodak, Polaroid, Blockbuster and Pan Am highlighted what happens when businesses fail to adapt. Typically a new player will enter the market and remove all friction points from the industry in question. The success of Uber and Airbnb are just a few prominent examples. From the outside looking in, the air travel industry is littered with pain points. In a digital age of instant gratification and simplification of everything, it’s easy to see how airlines are ripe for disruption. Whether it be woeful customer service, massive queues, cancellations, delays or the infamous overbooking tactics, something needs to change. The airline industry needs to rise to the challenge and tackle the legacy technology issue by disrupting itself. History has taught us that arrogantly thinking that the barriers are too high for any new players to challenge their monopoly only has one outcome. Here in 2017, A worldwide computer system failure caused by power supply issue leaves more questions than answers. Unfortunately, this latest episode is just one in an increasing list of airlines suffering an embarrassing outage. But, who will turn these failures into opportunities and reshape the entire airline industry? Please share your insights and expertise around how the aviation sector needs to disrupts itself by commenting below.